I first asked for a herb garden when I was a teenager, my dad created one which was only ever planted with flowers. After working in Africa I was much more interested in the healing properties of plants, being a busy mum I grew herbs in the garden but only for cooking. Eventually I was convinced there was more to a herb than taste and smell. Herbs are now my companions and part of my kitchen remedies. I strongly believe in gentle healing from plants or Natural Medicine. This little page is for simple natural remedies, fresh from the kitchen and garden. Pick the herbs on a dry day after the rain or dew has dried, crush lightly to release the volatile oils. Zest the rind of a ripe orange and add to a cup of cornflour. Mix well and pack into a clean, dry jar, seal, label and store in a cool dry place. Shake the jar occasionally. Once the herb and rind are crisp and totally dry (may take 3-4 weeks), use a fine sieve to remove them and keep, the now scented, cornflour. Pack into a dry jar and don’t forget to label it. I use this to treat Athlete’s foot which I always get when I stay in hotels. After bath or shower, dry the feet well especially between the toes (use a hair dryer on a cool setting if you have difficulty reaching your toes). 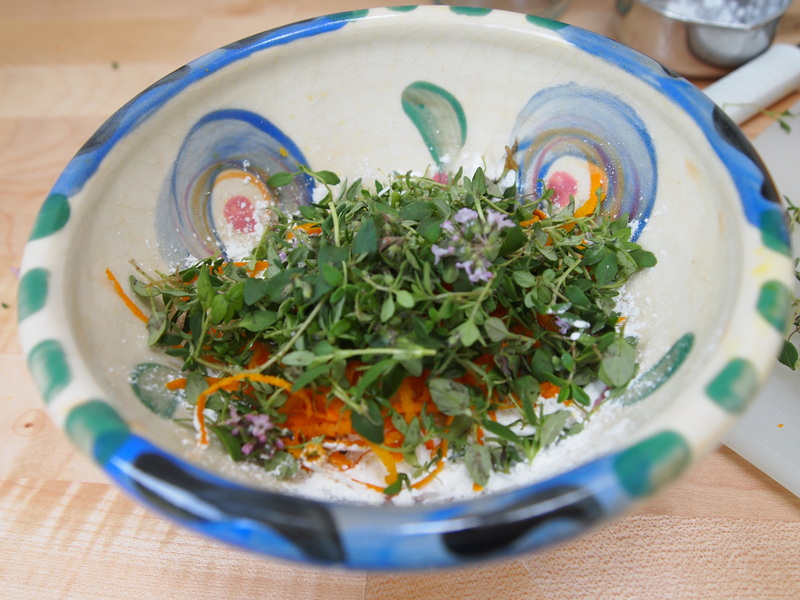 Dust between the toes the Orange and Thyme powder. 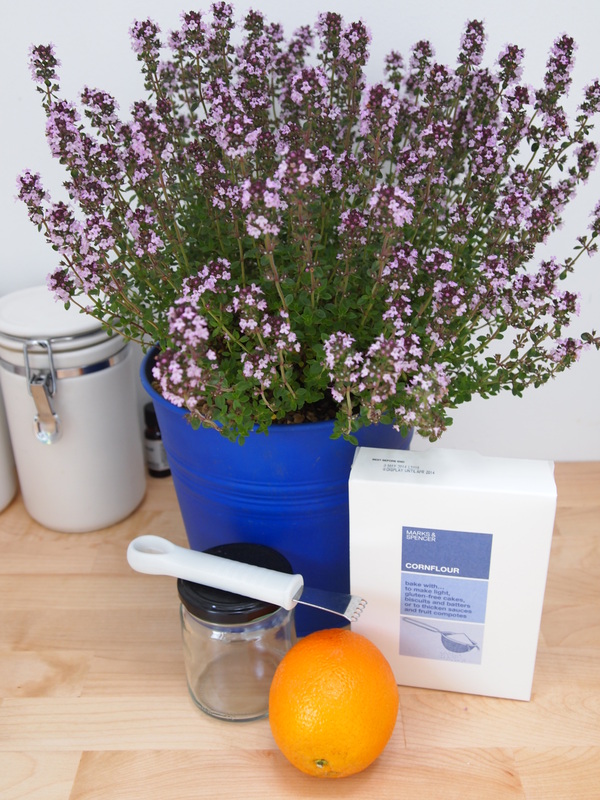 Thyme contains volatile oils which are antiseptic, antimicrobial and anti-fungal. Orange essential oil is also anti-inflammatory and antiseptic killing bacteria and fungi. Be Aware – some people may have an allergy or intolerance to the volatile oils so should not use this. If you have severe athletes foot you made need conventional treatments to bring it under control. We grow several kinds of mint in our herb garden, but the one I like best is Apple Mint. I use it in apple-mint jelly and it’s a lovely fragrance..
Dear Hopefule Herbalist, I find your lifestyle very similar to my life in Central Finland. I got that feeling already by following your Instagram-postings and now after reading your blog I am more convinced. I used to live like you in big cities in Finland and abroad ( Moscow) and now I live in the country side on a old farm. I grow much the same herbs as you and I believe in gentle healing from plants.